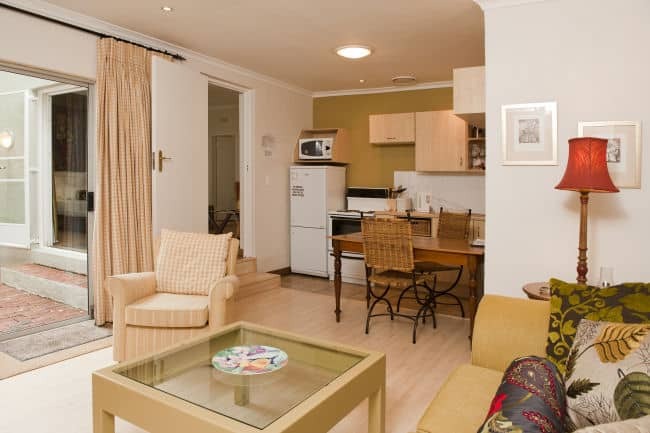 As a 4 star guesthouse in Johannesburg, Liz at Lancaster offers excellent guest house accommodation near Sandton and Rosebank. 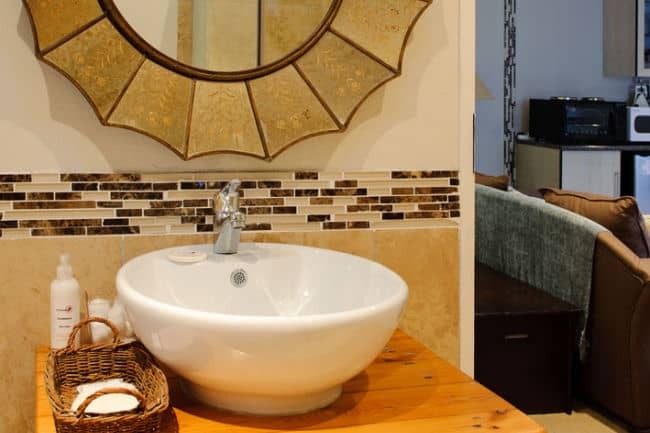 This Craighall Park guesthouse offers self-catering accommodation ideal for longer stays or B&B (bed and breakfast) with sumptuous breakfasts served to order. If it's peace and quiet, home comforts, attention to detail and discreet and caring personal service you want, then you have come to the right place. 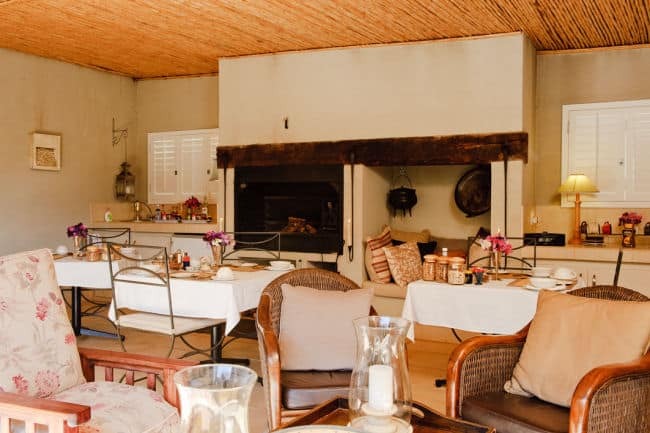 Here you can unwind by the pool at the end of day taking in a Highveld sunset, or relax in your own courtyard with a glass of chilled wine enjoying the heady evening garden scents. On warm summer nights, security grills allow you to sleep with French doors opening to your private patio: guests continually comment on the amazing night quiet of this urban location. 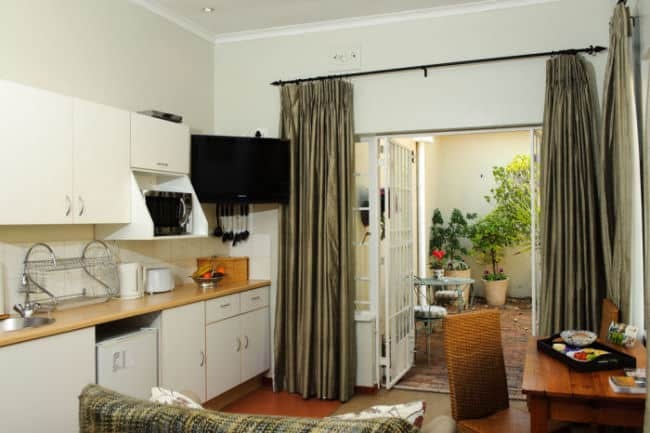 Fully equipped kitchenettes and living areas in your unit give you the independence of self-catering for lunches and evening meals should you wish. You can even pick a lemon off the tree or some fresh herbs from the pots outside your room to add to your salad. We really do have the home comforts and personal touch. And with Liz and 2 staff living on site there is someone on call 24/7. And all this in a central convenient location: Craighall Park is minutes from Rosebank, Melrose Arch, Hyde Park, Dunkeld and Sandton. Randburg, Braamfontein and Johannesburg are under 15 minutes away. 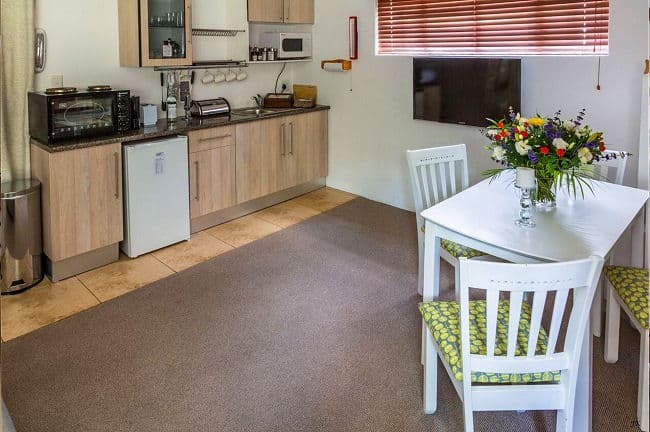 Liz at Lancaster offers a range of different units, from the Blue room for the more budget conscious, to one-bedroomed cottages ideal for longer stays. 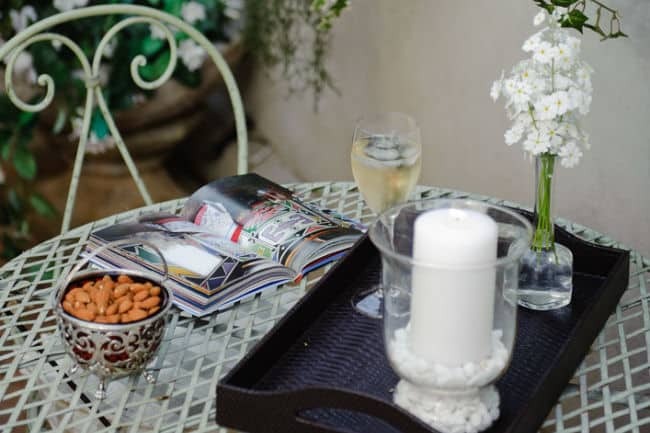 All are highly functional and are individually decorated with Liz's personal style which includes traditional and contemporary South African art and crafts.